Ms. Cohen is a partner in the Firm’s commercial litigation group. As a seasoned litigator, Ms. Cohen represents businesses and individuals in a wide variety of complex matters such as contract disputes, including those governed by the UCC; breaches of fiduciary duty; securities fraud; defamation; copyright infringement; employment discrimination; sexual harassment; and wage and hour class action claims in both state and federal courts across the country, as well as through binding arbitration before the Financial Industry Regulatory Authority, the American Arbitration Association, JAMS and the International Chamber of Commerce. Ms. Cohen also assists firms and their employees in responding to investigations and regulatory matters before the U.S. Securities & Exchange Commission, U.S. Commodity Futures Trading Commission and FINRA. 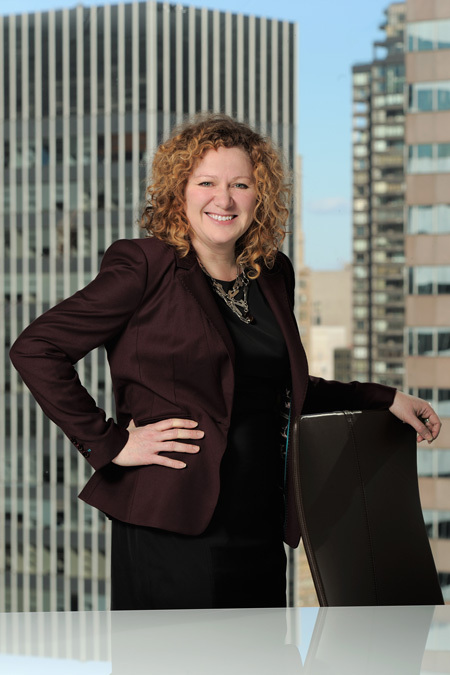 Ms. Cohen also has extensive experience in employment counseling, including counseling both employers and employees regarding the enforceability of restrictive covenants, providing sexual harassment training and advising management regarding personnel policies and practices to businesses of varying sizes. ISMT Ltd. v. Fremak Industries Inc. Served as co-counsel to claimant international steel manufacturer in ICC arbitration that resulted in an award of $4.2 Million, including all attorneys’ fees and costs, and successfully defended the award on appeal before the Second Circuit. Owens v. Gaffkin & Barriger Fund et al. Served as co-counsel to investor in securities fraud claim against a registered fund and broker-dealer which resulted in a FINRA award that was fully paid, and a jury verdict of over $5 million against other defendants in the Southern District of New York. Medifast, Inc. v. Minkow et al. Served as co-counsel to public company in ongoing commercial litigation against co-conspirators in short selling scheme which has resulted in the shuttering of the offending website. Bras v. Bay Area Rapid Transit District. Represented BART in litigation brought by an allegedly injured construction worker, obtaining a defense verdict in a bench trial in California Superior Court. Lavin v. Bay Area Rapid Transit District. Served as co-chair for BART in litigation and trial filed by an injured passenger in California Supreme Court, resulting in a defense verdict following 52 minutes of jury deliberations. © 2019 Lazare Potter Giacovas & Moyle LLP. All Rights Reserved. Attorney Advertising.